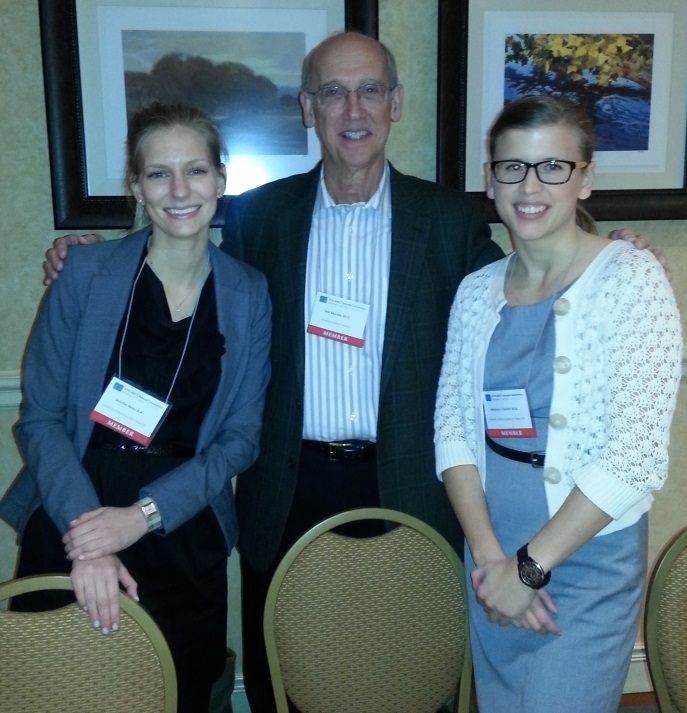 The 2013 conference for the Association of Behavioral and Cognitive Therapies (ABCT) took place November 21-24 in Nashville, TN. Several members of the Uniting Couples in the treatment of Anorexia Nervosa (UCAN) research study team attended the event. This year’s theme was “Cognitive and Behavioral Therapies: Harnessing Synergy Among Multidisciplinary Sciences.” Given that the UCAN study brings together experts from the fields of eating disorders and couples research, the conference’s focus on multidisciplinary collaboration perfectly aligned with the work we are doing. The UCAN team members in attendance were involved in numerous events, including presentations, poster presentations, and clinical round tables (see the list below, with UCAN team members’ names in bold). Some of the presentations regarded research being conducted at CEED, while other presentations from members of the UCAN team focused on work being done in Dr. Donald Baucom’s Couples lab within UNC’s Department of Psychology. Overall, it was apparent that conference attendees were energized and optimistic about the work conducted at UNC! Members of UNC CEED team continue to be motivated to contribute leading-edge research to our field. UCAN is a classic example of us trying to move the needle forward for eating disorders by creating a novel treatment for adults with eating disorders who have partners. Our passion for dissemination fuels our desire to share our interventions with other clinicians around the world at conferences such as ABCT. 1. Belus, J. M., Baucom, D. H., Abramowitz, J. S., Fabricant, L., Paprocki, C., & Fischer, M. S. (2013, November). OCD treatment in a couple-based format: Is there benefit for partners? Talk presented at the 47th annual convention of the Association of Behavioral and Cognitive Therapies, Nashville, TN. 2. Fischer, M. S., Baucom, D. H., Bulik, C. M., & Kirby, J. S. (2013, November). Push for change or passively support? Impact of partner stance on outcome in adult anorexia nervosa. Talk presented at the 47th annual convention of the Association of Behavioral and Cognitive Therapies, Nashville, TN. 1. Baucom, D. H., Christensen, A., Epstein, N. B., Castro-Camacho, L., Grawe-Gerber, M., & Worrell, M. (2013, November). Cognitive-behavioral couple therapy around the globe in the real world. Clinical round table conducted at the 47th annual convention of the Association of Behavioral and Cognitive Therapies, Nashville, TN. 2. Baucom, K., Baucom, D. H., Doss, B. D., Coop Gordon, K. C., Heyman, R., Stanley, S. M., & Trillingsgaard, T. (2013, November). Beyond the intent to reach: Recruitment of couples for intervention research. Panel discussion conducted at the 47th annual convention of the Association of Behavioral and Cognitive Therapies, Nashville, TN. 1. Belus, J. M., Nowlan, K. M., & Baucom, D. H. (2013, November). Received social support and relationship satisfaction in newlywed couples. Poster presented at the 47th annual convention of the Association of Behavioral and Cognitive Therapies, Nashville, TN. 2. Fischer, M. S., Baucom, D. H., Bulik, C. M., & Kirby, J. S. (2013, November). Anorexia nervosa in adults: Patients’ ambivalence toward recovery and how partners respond. Poster presented at the 47th annual convention of the Association of Behavioral and Cognitive Therapies, Nashville, TN. 3. Paprocki, C., & Baucom, D. H. (2013, November). Exploring behavioral correlates of relationship-based anxiety: Excessive reassurance-seeking, self-silencing, and partner accommodation strategies. Poster presented at the 47th annual convention of the Association of Behavioral and Cognitive Therapies, Nashville, TN.